Students attend a session at FIRE’s 2019 Regional Conference at the University of Colorado, Boulder, on Saturday, April 13. 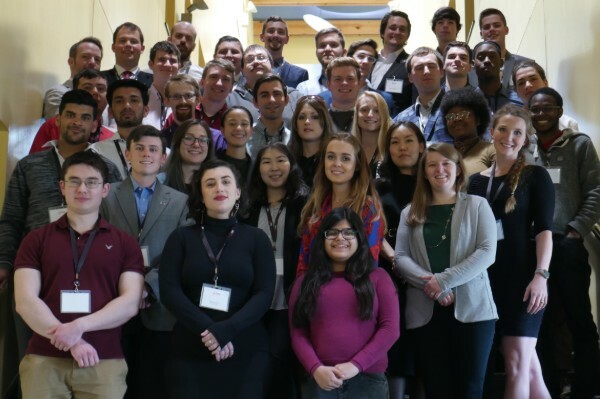 This weekend, 45 student activists from colleges and universities around the country gathered in Boulder, Colorado to take part in FIRE’s Regional Conference. This one-day conference was packed with sessions about FIRE’s work and student activism on campus. The day began with a keynote address from Zachary Wood, a recent graduate of Williams College who now serves as an assistant curator at TED. Zach talked with the students about his experiences with censorship in the form of disinvitations of those invited as part of the “Uncomfortable Learning” speaker series he chaired during his time at Williams. Zach also gave the students advice to help in their fights for free expression on campus. 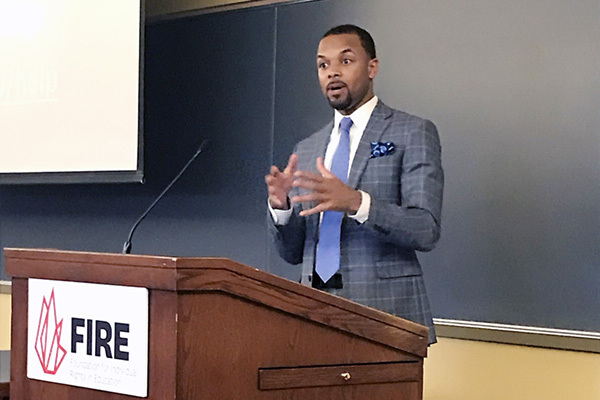 He stressed the importance of finding allies among students, faculty, and alumni, and encouraged students to approach activism with an empathetic attitude, noting that the absence of such an attitude makes it much easier for others to be dismissive of your arguments. Our @FSNspeaks regional conference at @CUBoulder kicks off with a keynote address from @ZacharyRWood. 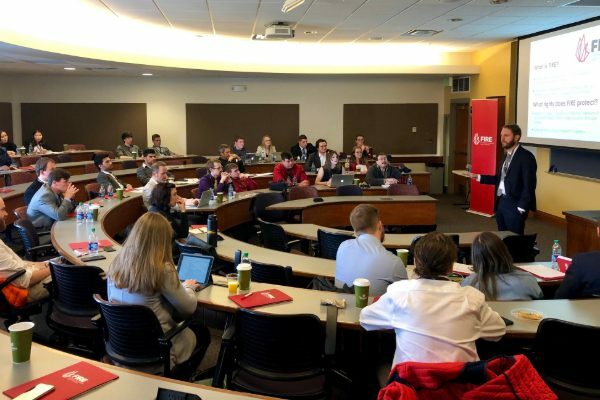 Next, students heard from Will Creeley, FIRE’s Senior Vice President of Legal and Public Advocacy, who discussed how FIRE’s multifaceted approach — education, advocacy, legislation, and reform — works harmoniously to protect student and faculty rights. The morning closed with an educational presentation from Adam Steinbaugh, Director of FIRE’s Individual Rights Defense Program, about the narrow exceptions to freedom of speech that the Supreme Court has outlined and the many misconceptions surrounding these exceptions. Attendees at FIRE's 2019 Regional Conference. After a lunch where student activists and FIRE staff had the opportunity for informal discussion, FIRE Director of Communications Nico Perrino gave a presentation about recent trends and changes in campus censorship that he’s witnessed over his career. Later in the afternoon, Senior Program Officer Sarah McLaughlin and Senior Program Manager Susan Kruth gave presentations about their work studying trends in art censorship and campus due process, respectively. The day’s sessions closed with a panel, “Taking FIRE Back to Campus,” where FIRE staff offered advice for student activism and answered questions from the audience. FIRE thanks the students and Zach for joining us for this fantastic event. Remember, anyone can join the FIRE Student Network and access resources like our Guides to Student Rights on Campus, speech code information, guest speakers, activism tips, and much more. Keep an eye out on FIRE’s Newsdesk this week for the 2019 FIRE Student Network Conference announcement.